A quiet corner of the Affordable Care Act (Section 1322) created “nonprofit health insurance issuers.” These cooperative “Consumer Operated + Oriented Health Plans” (CO-OPs) will be sold as qualified health plans through the state insurance exchanges coming in 2014. To get the member-driven plans off the ground so they are actuarially sound, the ACA sets aside $6 billion (now down to $3.8 billion) in start-up funds. CO-OP nonprofit health plans will be designed to be more accountable and responsive to their members than typical plans available on the market today, and will be able to devote more of the premium dollar to better coordination of care and payment of claims. Read more about this promising tool for mission-driven nonprofit insurance here. Utah has a CO-OP plan in the works called Aarches Community Health Care. If approved by Federal HHS officials, Aarches will be operational on January 1, 2014. Aarches’ primary goal is to set up value-based benefits that focus on the needs of its members. Aarches Founders’ Board members have robust ideas on payment and benefit reform that should help people get better value out of their health insurance. UHPP’s Hilman is honored to serve on the Founders’ Board. Her principal role will be to engage the Utah community in shaping the Aarches Health Plan so that it meets the community’s needs for a member-driven, evidence-based, and wellness-oriented health plan. Linn Baker, former UHPP Board Chair and former CEO of Utah Public Employee Health Plan, is Aarches’ CEO. The Board Chair is Dr. Kim Bateman, former medical director of HealthInsight (Utah’s quality improvement organization). Also serving on the Board are representatives from the Association for Utah Community Health, United Way of Salt Lake, and Midtown Community Health Center. Talk about an all-star line-up! Please join us for a Community Forum to Learn about Aarches and give input on plan design. This meeting is followed by a discussion with Latino community leaders (4:30-5:30 pm). One of the most underserved populations in Utah is the Latino community. Utah Latinos are 2-3 times more likely to be uninsured than any other population cohort. This is true even when accounting for income, employment, and education levels. Obviously there is something about the current structure of health insurance that is not working for Utah’s Latinos. Aarches wants to fix that. Aarches would like to create a health plan specifically designed to be attractive to Utah’s Latino community. This would include selecting culturally appropriate health care professionals and benefits. For that, Aarches is seeking input from the community it hopes to serve. During the meeting Aarches founders will outline our current plans, get some immediate feedback, and identify individuals and organizations that would be a resource for us in developing this product during the summer of this year. Last September, Governor Herbert hosted a Health Innovation Summit to “lay the groundwork for a comprehensive plan that will guide Utah’s health system reform efforts over the next several years.” In early February, Utah’s Department of Health, HealthInsight, and other interested partners sent a draft of their recommendations for “Health Information and Technology for Health Reform” to Governor Herbert. The recommendations include using information technology to provide information to consumers about the cost and quality of the health care they pay for and tools to help consumers take charge of their health. In addition, the group recommends building on Utah’s health information technology (like Utah Health Information Network or UHIN) in order to facilitate communication between providers and payors and to develop and share “best practices” among the provider community. qualify if your income is 200% of the FPL or less. For more information about Utah’s Premium Partnership call 1-888-222-2542 (Monday – Friday, 8a.m. – 5 p.m.) or visit the UPP website at http://www.health.utah.gov/upp/. Tell your story: If you have an offer of employer sponsored insurance but it’s simply too expensive for your family and you’d like to share your story with UHPP, call Shelly or Luis at 801-433-2299 or email at shelly@healthpolicyproject.org or (en Español) luis@healthpolicyproject.org. “THE BOTTOM LINE”: FAMILIES USA RELEASES REPORT ON HOW FEDERAL HEALTH REFORM (ACA) WILL HELP UTAH FAMILIES. The cost of health insurance has been going up relentlessly for over a decade and Utah families are finding it increasingly hard to handle their rising premiums…and deductibles and co-pays. Relief is in sight! 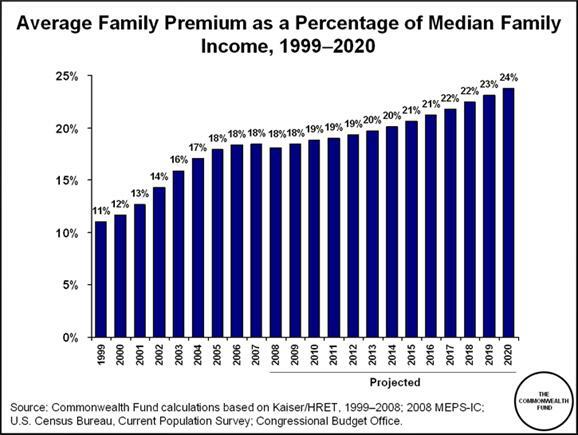 Utah families will be, on average. $1,250 better off due to the federal health reform law (ACA). Families USA’s report “The Bottom Line: How the Affordable Care Act Helps Utah Families” has good news for Utahns. Once the Act is fully implemented and has had a chance to bend the cost curve (2019), Utah families will benefit from lower premiums and less out-of-pocket spending, The report finds that Utah households with incomes less than $100,000 will get the most financial benefit from the implementation of federal health reform law. To read the full report, including how the impact of the ACA was measured, click here. Contact your representative: call or email your representative and let her or him know that you want Utah to implement federal health reform law! Find your legislator here. Exchange Consumer Roundtable. The first meeting is Friday, November 18, 2011, 8:30-10:00 in the Multi-Purpose Room (1st floor, just to the right of the north entrance facing the quad fountain) at the State Capitol. Good Governance: who is keeping an eye out for you? Who is watching out for consumers as Utah’s policymakers begin to make the foundational decisions about the American Health Benefits Exchange (the insurance market place for people don’t have employer sponsored insurance)? The most important thing that can (and should) be done first is to establish a governing structure that includes strong consumer input and keeps big money interests out. Can you trust insurance companies to make good choices for you and your family? Can you trust anyone who will earn money through the AHBE to make sure it is structured in a way that protects consumers? Changing the way people get health insurance is a key part of health reform. Beginning in 2014, people who don’t have an affordable offer of health insurance through their employer will be able to buy individual policies through the American Health Benefits Exchange, or AHBE. This is how it will work: individuals will fill out one simple online application through the AHBE. Then, based on a few general categories like geography and income, individuals will learn which health insurance products and cost-supports are available to them—both public and private: like private insurance plans, Medicaid, CHIP, and advance premium tax credits (help paying the cost of the monthly premiums, also known as premium subsidies). Individuals will then be able to decide which option works best for themselves and their families and enroll right there, in the AHBE. It’s really a health insurance marketplace. This health insurance marketplace will be one-stop shopping for people who don’t get affordable insurance through their employer. how to assist people so they can make informed and prudent choices—including people who are just learning English or don’t yet speak it very well, people with disabilities, and people whose family income jumps around a lot and will be moving back and forth between private and public health insurance. have a voice if Utah is serious about solving our health insurance problems—problems of access, cost, and quality, all of which are rooted in insurance which is too expensive today. But are Utah’s leaders taking this seriously? Evidently not, considering the recent “surprise” change in how Utah’s Health Exchange (UHE), the insurance market place for small businesses, is governed. is not true consumer representation. reform and decision making on the Exchanges. Are you interested in helping? Tell your story: UHPP will listen and help you see how you can make a difference. Offer to serve as a consumer voice on Utah Health Exchange advisory committees. or him know that you want good governance for Utah’s insurance marketplace (both the AHBE coming in 2014 and in Utah’s Health Exchange, already in operation for small businesses). Find your legislator here. Attend the Health System Reform Task Force meeting Wednesday, October 19 from 2:00-5:00 in Capitol 450—they’ll be discussing governance. If you can’t attend you can listen in real time at http://le.utah.gov/asp/interim/Commit.asp?Year=2011&Com=TSKHSR. Good governance is essential to solving our health system and access problems through the private market.